An Audi showroom in Lincoln has completed an overhaul of its car dealership to make it more energy efficient, reports CarDealer magazine. 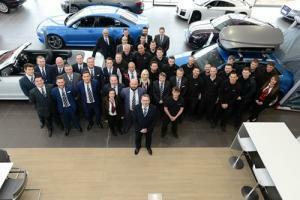 The dealership JCT600, based on Doddington Road, was redeveloped over eight months at a cost of £2 million. Work started on the two-acre site in the summer of 2015 to make the dealership energy efficient. To achieve this goal, there are fully-integrated building management control systems to manage and monitor energy usage across the whole site. If you’re thinking of upgrading your showroom, be sure that you have the correct levels of insurance to cover your new facilities. As well as your general motor trade insurance, you may also want to consider upgrading to a combined motor trade insurance policy, which will adequately protect your new facilities, as well as the contents of your site. The new JCT6000 showroom features solar panels across almost the entirety of the roof, which will enable to business to power its facilities, with the company hoping to sell any surplus electrical energy to the national grid. Mark Taylor, JCT600’s group property director, said of the redevelopment: “The new state-of-the-art showroom is an eye-catching addition to the town, as well as featuring the latest innovations to make it as energy-efficient as possible.